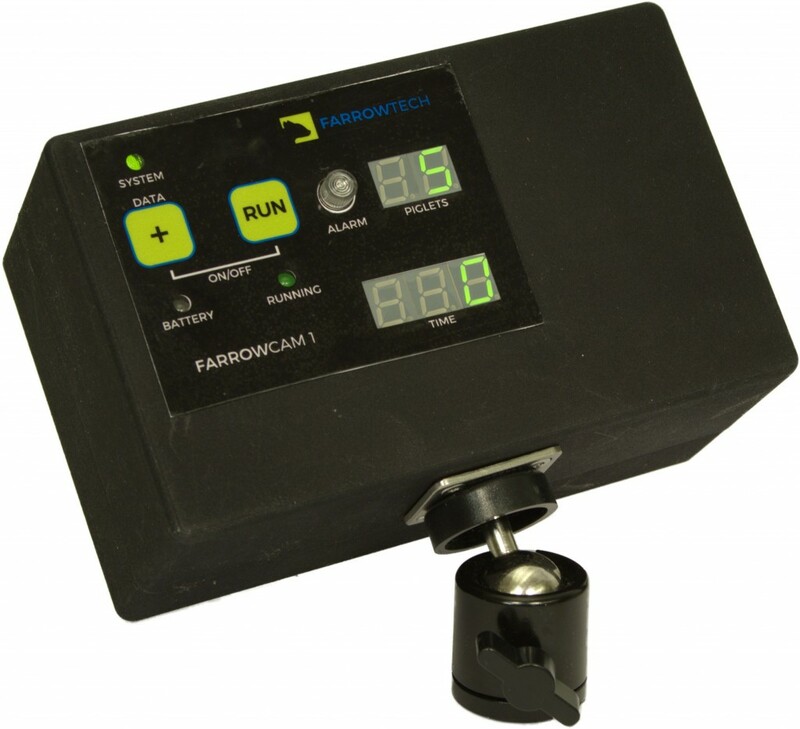 After years of hard work, we are happy to announce the first fully functional prototype of FarrowTech’s device for monitoring of farrowing sows, FarrowCam1. It features a thermographic camera, a battery, and a processing unit running an algorithm for automated detection of piglet births. Everything is enclosed in a 3D-printed, watertight box with buttons, LEDs, and two displays showing the number of piglets born and the time since last birth. Movie of the FarrowCam1 in action at the farrowing pen.